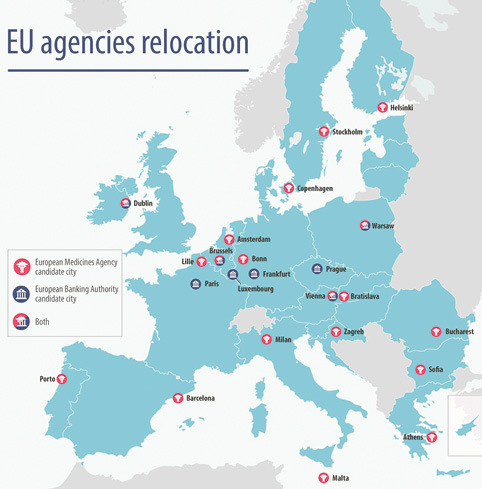 The EU27 selected Amsterdam as the new seat for the European Medicines Agency (EMA) while the European Banking Authority (EBA) will be relocated to Paris. The much-coveted agencies, which had been based in London, are required to relocate in the context of the UK’s withdrawal from the EU. In June, in the margins of Article 50, the EU27 endorsed the procedure for the relocation of the European Medicines Agency (EMA) and the European Banking Authority (EBA). Under this procedure, interested member states were invited to submit their offers to host each of the agencies, the submissions assessed on agreed criteria and then put to a vote by member states. The EMA employs an 890-person secretariat with a further 170 working at the EBA, both currently located in London’s Canary Wharf. The EMA, which had been secured by John Major’s Government in 1995, conducts assessments and issues approval for medicines within the EU. A total of 36,000 regulators and scientists are hosted by the Medicines Agency on an annual basis. The work of the EBA is “to ensure effective and consistent prudential regulation and supervision across the European banking sector”. The British Department for Exiting the European Union had previously suggested that the future of the agencies would be determined by the negotiations. The Commission subsequently submitted general assessments for each of the EMA and EBA bids to the Secretary-General of the Council. The following are the six main criteria by which Dublin’s bid for the EBA relocation was considered. 1. Premises: the offer emphasised the availability of 15 buildings in Dublin which met the EBA requirements on layout and facilities in addition to the availability of data centres. 2. 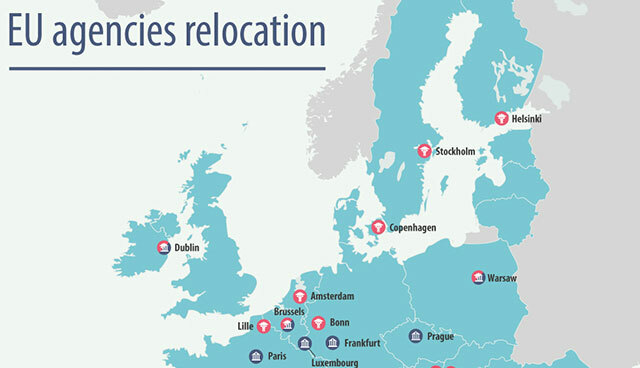 Accessibility: the offer provided information on direct flight connections to 25 EU capitals (with Zagreb and Ljubljana accessible via one-stop connections), transportation connection between Dublin airport and the city centre, and the availability of 150 hotels, with an additional 6,000 rooms projected by 2020. 3. Education facilities: the offer highlights the 495 primary schools, 190 post-primary schools and a European school, though without providing specific information in the number of available places. The offer also stressed the presence of seven universities and 14 Institutes of Technology. 4. Labour market, social security and medical care: the offer assured access to the Irish social security system and medical care, while also providing general information on medical care systems and employment opportunities. 5. Business continuity: the offer confirms that all selected buildings will be available by the end of 2018, stresses the geographical and cultural proximity between London and Dublin, the use of English in Ireland, the local talent pool in key financial services and the possibility of creating a Relocation Group. 6. Geographical spread: the summary notes that Dublin currently hosts one EU decentralised agency, the European Foundation for the Improvement of Living and Working Conditions (Eurofound). Before the first votes were cast, Dublin had dropped out of the crowded EMA competition (along with Malta and Croatia) in order to boost its chances of winning the contest for the EBA. However, in the event, three rounds of voting by secret ballot failed to produce a clear winner. Dublin succeeded in running Paris to the final round of voting where each received 13 votes (with one having been spoiled), but lost out in a tie-breaker decider, when lots were drawn. Similarly, after three rounds, the EMA was awarded to Amsterdam which won a tie-breaker against Milan, having seen off competition from third-placed Copenhagen.